With No Winner, US Mega Millions Jackpot Rises To Record $1.6 billion. 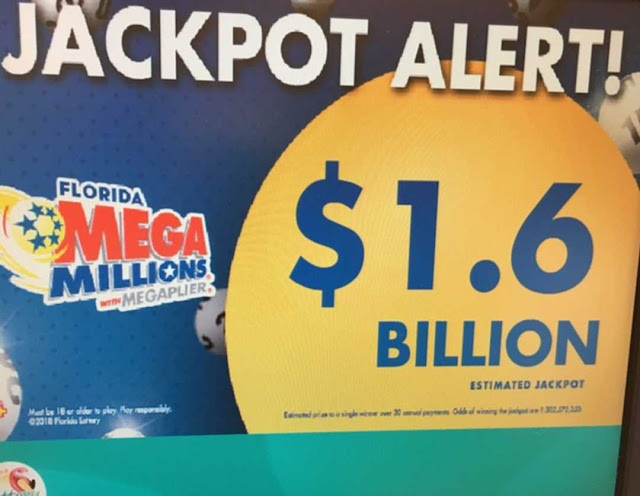 The U.S. Mega Millions jackpot grew to $1.6 billion, a world record for a lottery, after Friday's drawing produced no winner of the grand prize, officials said. Leaders of the U.S. lottery industry, which generates about $80 billion in annual revenue, have experimented with different rules and marketing strategies as they have encountered falling interest among millennials, who are used to the almost-instant gratification of online games and social media.